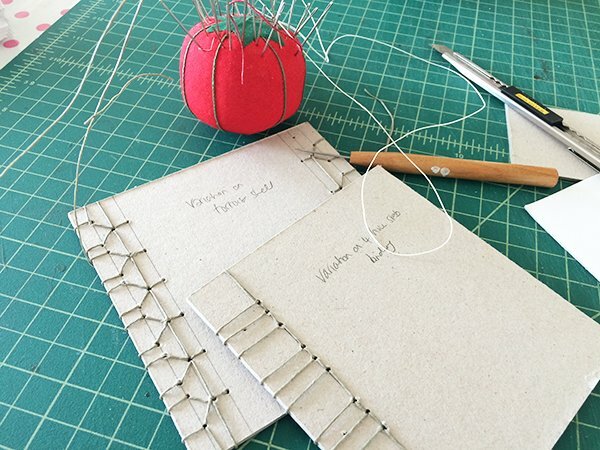 I’m continuing to play with Japanese stab bindings as part of my 50 Book Project. 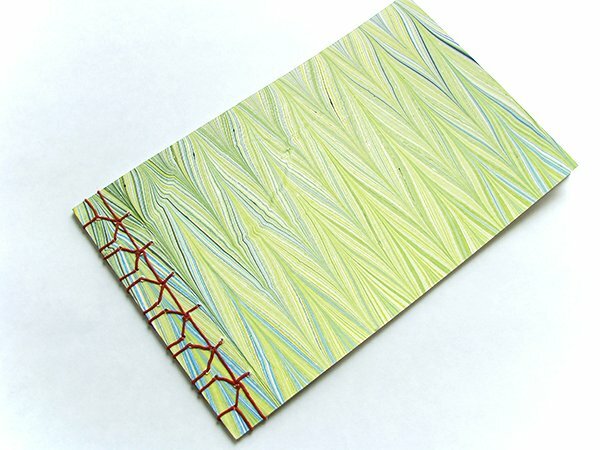 I posted a simple 4-Hole Stab Binding and a Tortoise Shell Binding last month, but this week I decided to branch out and make my own design. Once you’ve mastered the four basic Japanese stab bindings – 4-hole, Tortoise Shell, Noble and Hemp Leaf, you can play around with different combinations of holes and stitches. 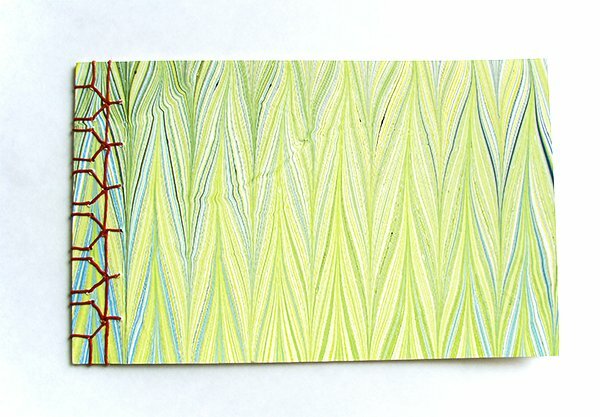 I practice on scraps of book board, recording notes about the design on the board for future reference. 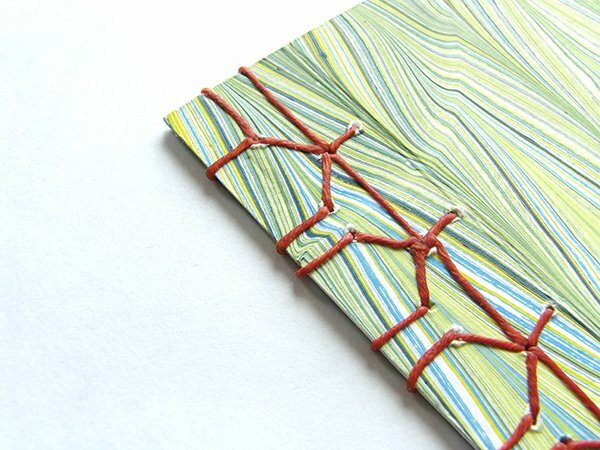 Here’s a binding I’m calling Little Arrows, although if you look at it sideways, the pattern looks like little houses. It’s a variation on Tortoise Shell, but has a third row of vertical holes. I used the hand drill to create the holes, which was easier than using an awl, especially on my hands, but the drill makes the holes a little ragged. Any suggestions on how to avoid that would be greatly appreciated. 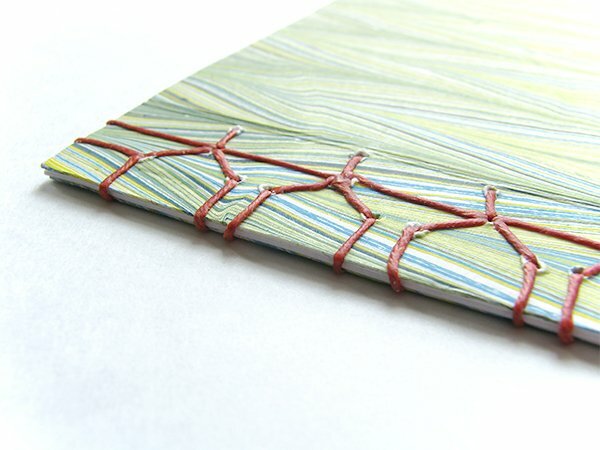 Would you be interested in a template and instructions for creating this binding? If yes, leave me a comment and if there’s interest I’ll create it for you. Don’t forgot to sign up for my newsletter, so you don’t miss it! 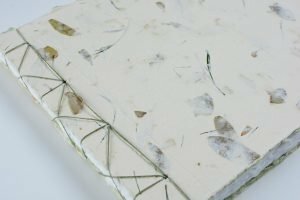 Your website is excellent and I would like to have the following instructions and binding template for this particular book featured on this page.Thank you so much! Loving your website and would really like you to make a template and instructions with this stitch.